There are vast opportunities available in Malaysia, which makes this country one of the prime destinations in East South Asia for setting up a business. In Malaysia, foreigners can now own 100% foreign-owned company, and it can be registered as an Sdn Bdn. 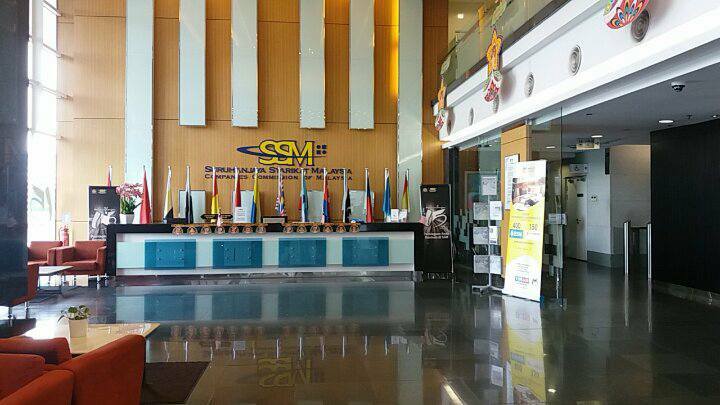 The Companies Commission of Malaysia (SSM) are responsible to oversees any types of company registration in Malaysia. A Company can be registered in Malaysia in 3 ways: Limited Liability Company (LLC), Partnership and Sole Proprietorship. 1 How to register Limited Liability Company (LLC) Malaysia? How to register Limited Liability Company (LLC) Malaysia? There are some steps that you need to overcome steps by steps for the registration of a foreign-owned company. In this section, we will discuss the registration process of a limited liability company. Most of the foreign investor doesn’t know the process of company registration. Therefore, it is necessary for them to hire an experienced consultant who can help to deal with company registration in Malaysia. Always remember a good consultant can save your money and time. Therefore, hiring a good consultant is an essential job before company registration in Malaysia. According to the government law, you must appoint a Company sectary (must be Malaysian Citizen) who is responsible for forwarding your company registration papers to SSM for approval. However, you must designate a company sectary under some particular condition, so that they could not perform harmful activities within the business. The director of the company can only terminate by the company sectary. Each company has its own identity and recognized by name. So, name approval of proposed company is the first step in company registration. As company name policy, each company shall hold name as SDN. BHD. The Company Secretary shall prepare Memorandum and Article of Association (MoA & AoA). The director of the company will have to sign on some papers and forms (Form 24, 48 A, 44 and 49). All required documents should be submitted through online to SSM including government fees. The table below shows the details of government fees. To register a company in Malaysia, you must use Malaysian local address. You may buy a permanent office (high cost) or rent a virtual office (low cost) to full fill the requirement of local address. However, it takes around 3 to 7 days to register Pvt. Ltd. The company in Malaysia. Section 14 Each company must be registered as limited liability of shares or limited by guarantee A company should be at least two directors to register a new company in Malaysia. Section 124 If directors of the company fail to purchase shares of the company is penalized financially of RM one thousand. Section 143 Directors of each company shall hold an annual meeting with attending of majority members and perform meeting within the calendar year. Section 211 The winding up of a company may be either—by the Court; or voluntary. WRT (Wholesale Retail Trade) License Investors have to apply to local area office for WRT license from Ministry of Trade and Consumerism of Malaysia. Halal License These are the following business category that needs to apply for Halal License: Distributor, Manufacturer producer, Repacking, Food premise, Slaughterhouse business, Packing material, etc. Income Tax Certificate Each company shall hold income tax certificate after register SDN. BHD. Company. Directors of the company shall have to decide of submission of income Tax period of the year. Click here to find more details. Bank account It is easier for a company to open a bank account which holds paid up capital of RM 500,000. If the paid-up capital of the company is below RM 500,000, then it became difficult to open a bank account. If the directors of the company hold the social pass, he or she is unable to open a bank account. Q: Can I register Pvt Ltd. Company in Malaysia with paid up capital of any amount? Q: Should I present at Malaysia physically, to register a new company? No. You may not need to be present physically. But you will need to be present physically when opening a bank account for your company. Our small business ideas in Malaysia will help to start new business. Click here to know advantage of setting up business in Malaysia. Find information problems of starting a business in Malaysia. Different types of business plan in Malaysia have been discussed. Although Malaysia is a peaceful country yet some problems to live in Malaysia. We have discussed different types of visa in Malaysia.